A great way to spend an afternoon at Epcot in World Showcase is to hunt for hidden eggs in each of the pavilions. Disney calls it EGGstravaganza, and while you could simply find the eggs and enjoy the atmosphere, my family chose to divide into teams and make a competition out of it. Your purchase includes the map and stickers. There is a cost for each map: $5.99 plus tax. Maps are available for purchase in a number of locations in World Showcase and Future World, including Pin Central (Future World), Disney Traders (entrance to World Showcase), and World Traveler (International Gateway). Just look for a sign or ask a Cast Member. Annual Pass discounts apply, as this is in the “merchandise” category. Each team had to ride one of the two boat rides in World Showcase, either the Gran Fiesta Tour in Mexico or Frozen Ever After in Norway. (If you are going for speed, there is really only once choice for this requirement!) To prove it, a selfie on the attraction was required. Each team had to stop to meet a character in World Showcase. 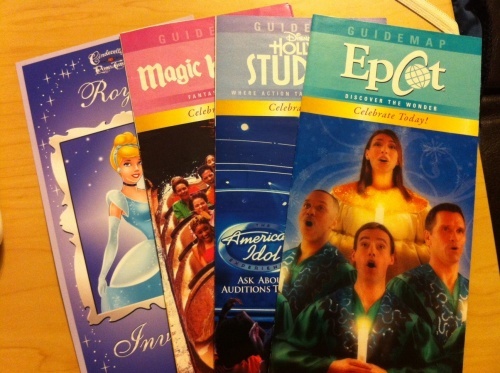 We armed ourselves with Times Guides to familiarize ourselves with the schedule. For proof, a photo was required. 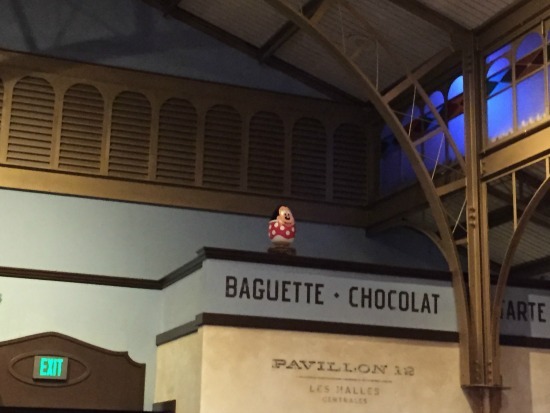 Each team had to purchase and consume one snack item from a World Showcase vendor. For proof, a receipt was required. Each team had to find one pressed penny machine and press a penny. The proof was the pressed penny. Each team had to complete the EGGstravaganza map fully and accurately. The start and end point was the entrance to World Showcase from Future World. Interacting with Cast Members to help find the eggs was permitted. See one of the three films (China, France, Canada). Stop at a Kidcot station to get a cast member’s signature or stamp. Purchase an item in one of the shops that is less than $7.00 (or some other lower amount that forces you to make a frugal choice). Stop for at least 5 minutes to watch some of the live entertainment (requiring someone in your team to record a video to prove the time spent). My wife and son teamed up and headed toward Mexico first. They saw Pluto meeting across from Disney Traders and only waited two minutes to meet him. They rode Gran Fiesta Tour and pressed a penny in the Mexico pavilion. Three items checked off the list in the first 15 minutes! Then they were off to find the eggs in each pavilion, completing their last requirement (eating a snack) in Canada. Total time spent was just over one hour. My daughter and I teamed up and headed toward Canada first. We found the first egg quickly and went to the United Kingdom, where it took us a bit more time to locate the egg; we also pressed a penny there. Next stop was France, and we decided to wait 15 minutes for Aurora; this was mistake number 1 – we should not have waited more than 5 minutes for our character! 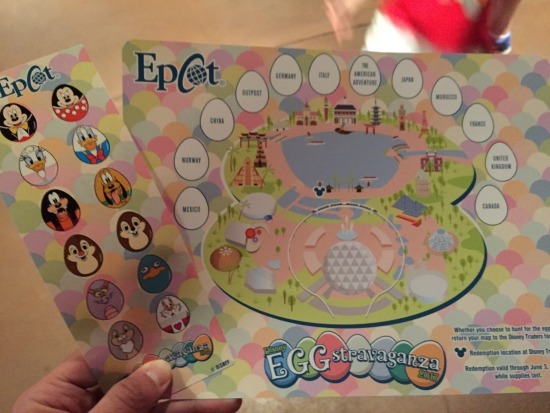 We made our way through the rest of World Showcase, stumbling to find the eggs in Japan and Germany. While in Italy, the other team texted us to say they were already done; we still had five eggs to go! We ate our snack in Norway and rode Gran Fiesta Tour in Mexico, where my wife and son decided to join us for a second ride (and to rub it in that they finished well before us). My daughter and I had a final time of 1 hour and 45 minutes. While we didn’t even come close to winning, we certainly had a great time. One of the eggs found in…guess the pavilion! 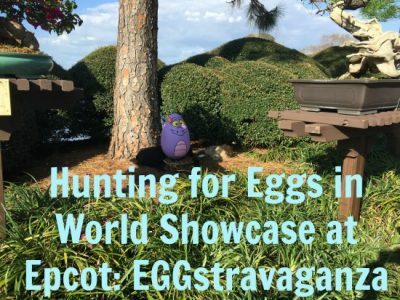 The Disney EGGstravaganza is a great way to spend an “extra” day in Epcot once you have already seen everything else you want to see. 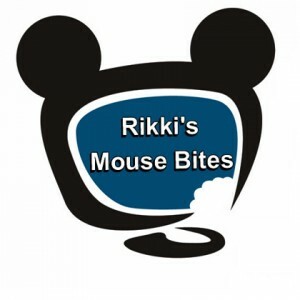 This probably isn’t going to be on the list of a first-timer or even someone on their second or third trip; but once you have been to Walt Disney World multiple times, this egg hunt is a great way to do something new for low cost. It is a great way to explore some of the less-traveled parts of World Showcase and learn a few things along the way. It’s also a great way to spend time with someone you love, and it’s made even better if you can find another individual or team to compete! Disneyland also has a similar egg hunt. Read Sherry’s article about their EGGstravaganza. Have you ever done the EGGstravaganza? What did you think about it? Share your thoughts in the comments.